You can manually add a single contact, or list of new contacts, to your blog subscriber list. Click the name of the contact (or click New contact to create a new record). In the About section, click View all properties. Search or browse for the blog subscription property, which will be labeled [Your Blog Name] Email Subscription. Click the property and select a subscription frequency from the dropdown. 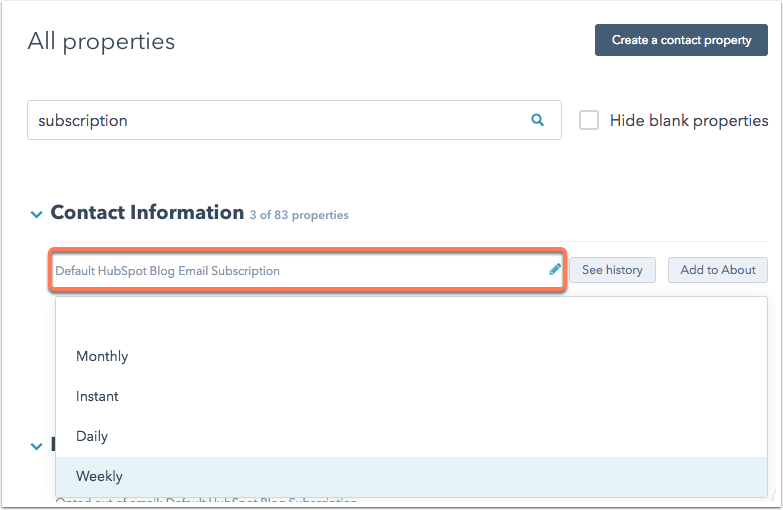 To remove a contact from receiving blog notification, follow the instructions above to locate the Email Subscription property on their contact record, and set the value to blank. Then, click Save. To add a group of contacts to your subscriber list, create a CSV file to import. Add a column to your CSV file for subscription frequency and set a value for each of the contacts you'd like to add to your subscriber list. The accepted values for this field are Instant, Daily, Weekly, and Monthly. Once your file is ready, navigate to Contacts > Contacts, click the Actions dropdown and select Import contacts. Keep the in mind that the column containing the subscription frequency values is mapped to the blog subscription contact property ([Your Blog Name] Email Subscription). 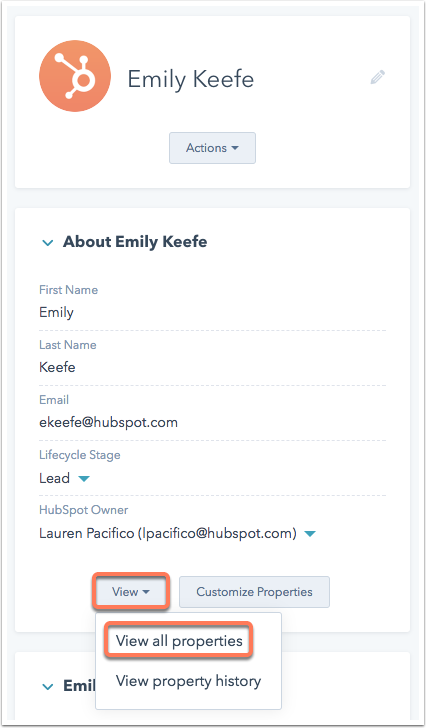 After the file has been imported, the new subscribers will be added to your HubSpot blog's subscriber list. To remove a group of contacts from your blog subscriber list, set up a workflow with a Set contact property value action to clear the corresponding Blog Email Subscription property for a list of contacts.